Trusting the wrong company with your exhaust cleanings can land you in hot water with the fire code inspector or even lead to a fire at your restaurant. 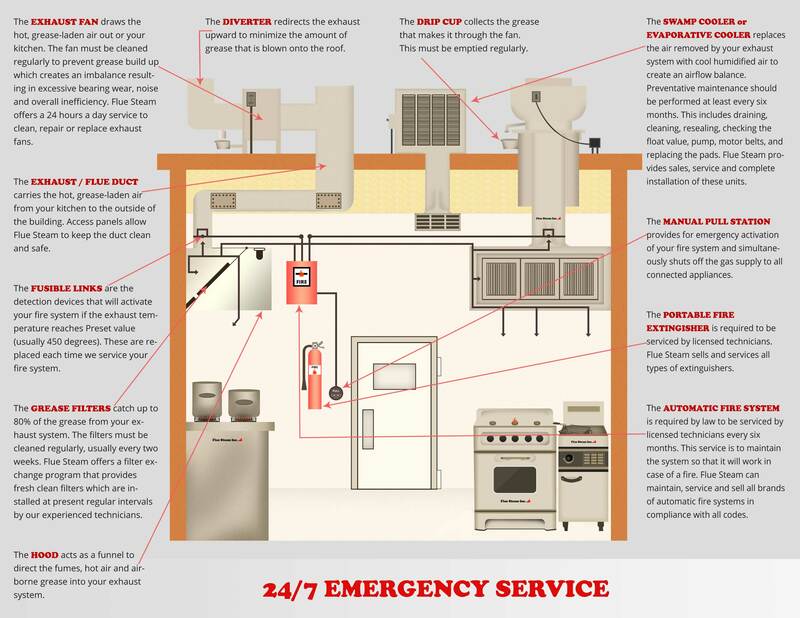 You can trust Flue Steam to provide the thorough restaurant kitchen exhaust cleaning in Lakewood CA you need to satisfy code inspectors, eliminate fire hazards, and keep your kitchen smoke- and odor-free. 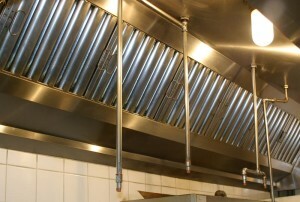 We offer two methods of restaurant kitchen exhaust cleaning in Lakewood CA, hand scraping and steam cleaning. Most kitchens will need their exhaust hoods scraped by hand every month and their entire duct system steam cleaned every 3 to 6 months. Exhaust fan inspection: As a courtesy to our clients, we always inspect the exhaust fan when providing restaurant kitchen exhaust cleaning in Lakewood CA. We grease the fan bearings and we can even replace the fan belt if you have spares on hand. Can’t remember the last time you had restaurant kitchen exhaust cleaning in Lakewood CA? It’s time to call Flue Steam. We can have a crew at your restaurant ASAP. Please call 800-700-FLUE now to schedule service.